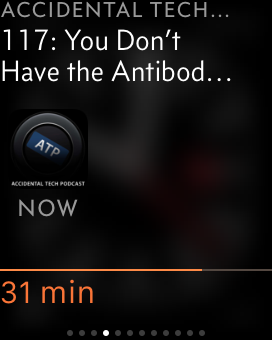 Three weeks with Apple Watch: Overcast and Instapaper. Facebook Instant Articles. It was Friday and I decided to do some exercises. I walked from office to On Lee Noodle. 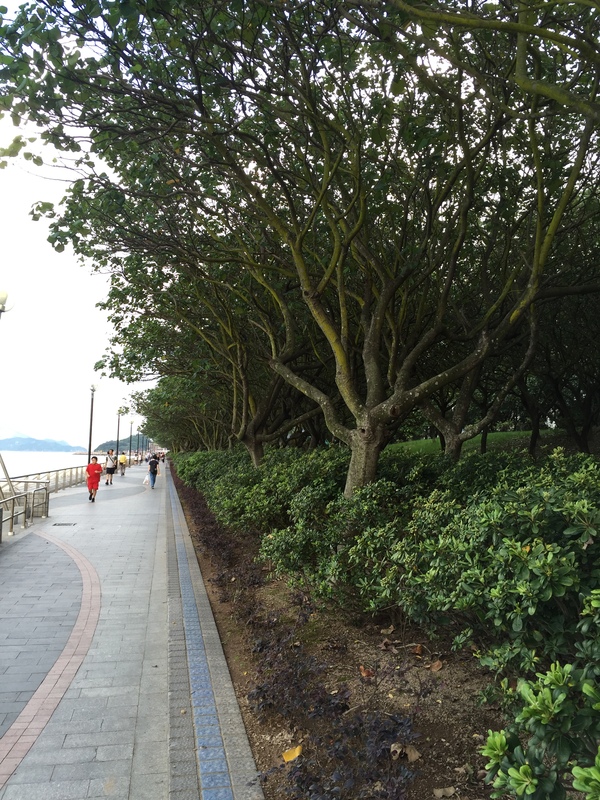 The distance was 3.2km, and I was using Overcast to listen to the Amplified podcast #139 while I was walking. Dan was worry about Facebook Instant Articles. After dinner I walked home and listened to the ATP podcast #117. Two hours later I went for a 4km run. 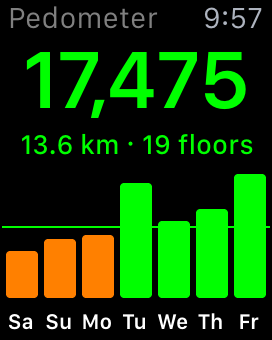 I made more than 17k steps today! Pretty cool! I completed the ATP podcast. Facebook Instant Articles help publishers to deliver content faster and hence provide a better user experience/engagement. Every mini-second counts! An interesting discussion among Marco, Casey and John. They mentioned a recent blogpost from Ben Thompson. After taking shower at home, I used Feedly to surf Stratechery.com. I found Ben’s latest article: the Verizon-AOL, Facebook Instant Articles, and the Future of Digital Advertising. I saved it to Instapaper and then use Instapaper to read it to me. User identification/profiling, content curation and targeted advertising. User engagement time is finite and valuable. Another great piece from Ben! I haven’t used Instapaper for sometime. Pocket was my default read-it-later tool. Pocket integrates better with other apps and it supports embedded images and videos. However I recently find Instapaper supports Apple Watch: user can control the article read out on Apple Watch. The Apple Watch app design is very useful! I did save a lot of articles for read-it-later when I didn’t have enough time to read through them. The challenge is I don’t have time to read it later! Time is finite, reading is completing with other activities for my time. I am trying to read and to do exercise at the same time. Doing both is much more manageable now with Apple Watch. I can do the same on iPhone, but do it on Apple Watch save me from taking off/on my iPhone armband when I am running. It saves seconds! And now my default read-it-later tool is Instapaper. 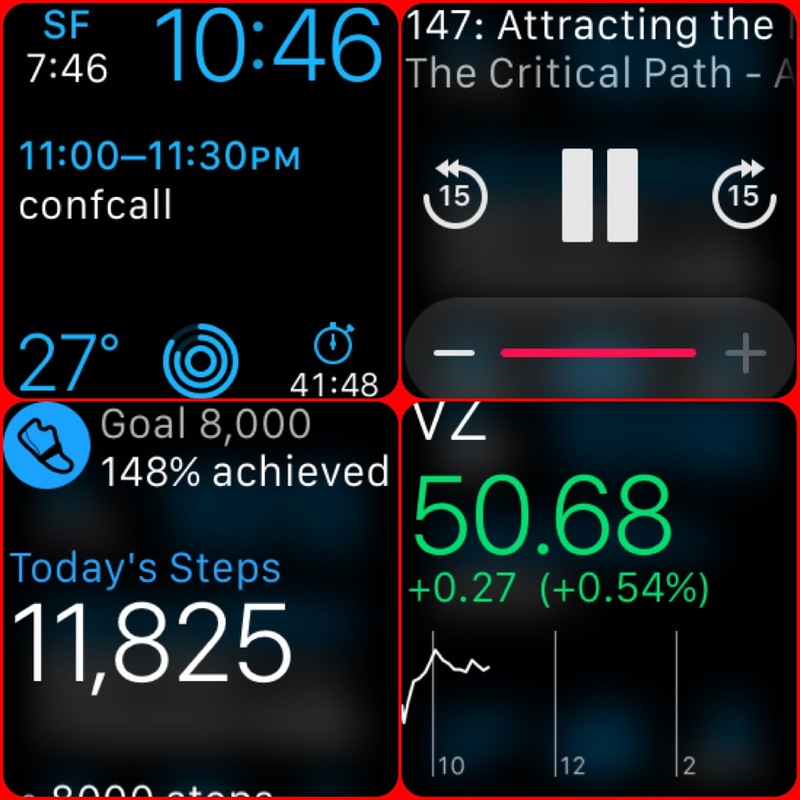 Two weeks with Apple Watch: I see and I listen more! I’m lucky to have the Apple Watch for two weeks. My friends asked me yesterday what it could do. “I exercise more frequently.” I replied. What can be managed, can be measured. Smartphone nowadays can measure the numbers of step we walk using accelerometer. It is no magic. However Apple Watch makes it very handy to access the information: swipe up to glance! The circular presentation of Pacer motivates me to move more. Many say the three rings in the Apple Activity app motivate them to exercise more. It seems that the circle thing is really magical and motivational! I walk more. I run more. My eyes focus more on the environment around myself. I spend less time watching the iPhone screen. I see more. I usually listen to podcasts when I walk and run. I listen more recently. I wear more my Plantronics BackBeat GO headphone. Its battery life is less than that iPhone and Apple Watch. I think I need a better battery headphone! Great if it supports infrared emission detection to measure my body temperature! It will send the temperature data to Apple Watch. Cool… Anything similar from Beats?! Users and developers are learning how to make better use of Apple Watch. Overcast is just updated. 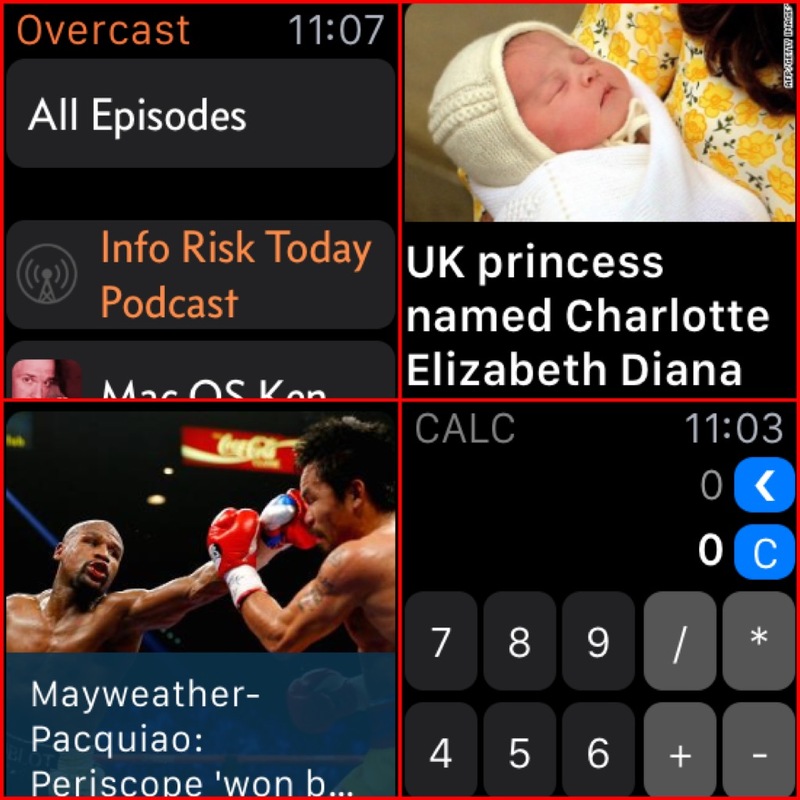 Marco redesigned Overcast based on his actual experience using Apple Watch. Overcast is much more user-friendly and useful now! Amazing! “Use it in small bursts.” Steven Kovach of Business Inside said. 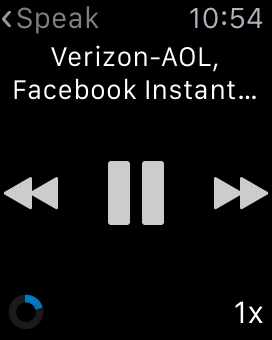 I prefer to interact with Apple Watch for just a few seconds. Quick access. I didn’t think it is useful to read news. However, I recently find a few apps – WSJ, Channel NewsAsia, The Economist on iPhone – which are well designed for Apple Watch and they make conusming news information on Apple Watch a pleasure experience! And I use more apps! One week with Apple Watch: Glance it as a watch! 1.The screen is crystal clear and best for highly focused information which can be consumed in a second to two! 2.The watch face (or the Complication Layer, the highest hierarchy stated by Horace Dediu) is most useful to me. I use the Modular watch face. Current time and calendar help me better use of my time. Outdoor temperature and activity level motivate me to move/exercise more. 3.Haptic notification just works! I usually put my iPhone on silent and sometimes I missed incoming calls. I hadn’t missed any call in the last ten days! 4.Less is more: keep number of Glances at a minimum for easy navigation. Reserve it for the most frequently access information. Here is my list: Battery, Now Playing, Heartbeat, Pacer, Weather, Things, Stocks, Ticker, CNN and Shazam. Shazam is there for quick access. The best assistant is the one with you. 5.Third party app is slow. It takes time for precious tapping on the honeycomb-like UI. All these make app not very accessible. That said, there are still some useful apps. 6.The Apple Watch app on iPhone is slow too. 8.It takes 2hr to fully charge the Apple Watch from 20% battery level. I usually charge it before sleep. I wear it when I sleep to monitor my heart rate. When I wake up the Apple Watch battery level is 80%+ and charge it 30min to make it full. Hopefully Apple will provide new SDKs so that developers can use Apple Watch to monitor sleeping. 9.We can use Passbook on Apple Watch to enter the departure areas at Hong Kong International Airport. However we cannot use it for boarding unless you have a very very THIN wrist. It is the similar challenge caused by the fixed barcode scanner encountered by Qantas passengers. 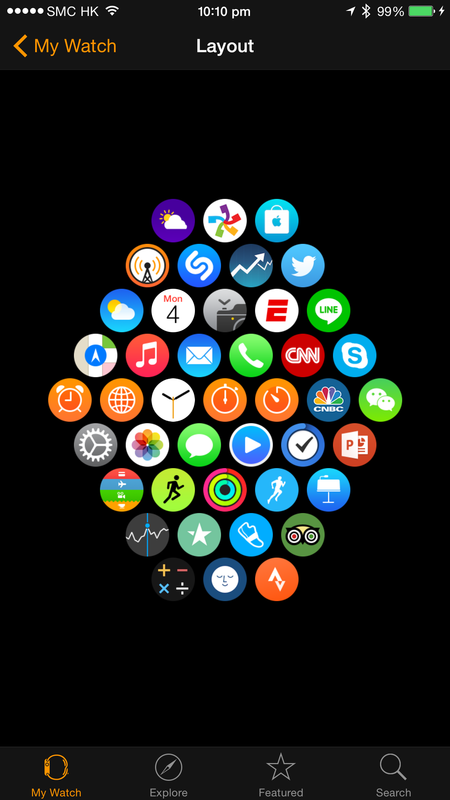 10.Recommended 3rd party Apple Watch apps: Things, Pacers, RunKeeper, Overcast, CNN, Ticker, CNBC and Keynote.